On this episode David Parker (aka figbootonpens) joins us to discuss the news and how he got started with fountain pens. The FPC gang is back! It's a new year, we have a lot to talk about and a lot of new fountain pen and ink trends to talk about! Join us for our first episode of 2019! Jim Khouri joins us and we discuss our top 3 stationery items from 2018. Episode 7 - Are there any green guitars? Annabelle Hiller joins us for this episode and we discuss challenges, new releases, and other random things. It's October and time for Inktober, orange pens and crazy inks. 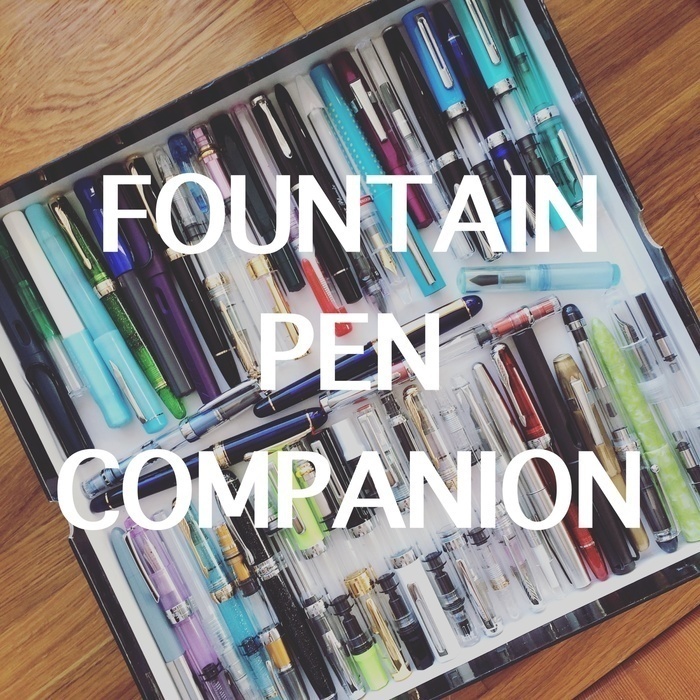 Join us for the latest of the Fountain Pen Companion team! For our first special, Ana interviews The Pen Addict at the 2018 DC Pen Show. They talk about the people in DC, pens, paper, pen cases, and all the amazing things that happen in DC. Episode 5 - Oh La La! For our first episode after our summer breaks, the Fountain Pen Companion welcomes Jim (Robojim) to talk about the San Francisco Pen Show, and travelling with pens and ink. In this episode, we talk about notebooks, Indian pens, and new stuff in the fountain pen world! In our 1st episode of the Fountain Pen Companion podcast, we discuss what we are consuming, new stuff, ink mixing, how we got into the hobby and the Empty Ink Bottle Challenge. Urban, Ana, and Daniel introduce themselves and the podcast.